Burlington round light with chrome base and cup frosted glass shade part of our period bathrooms range. 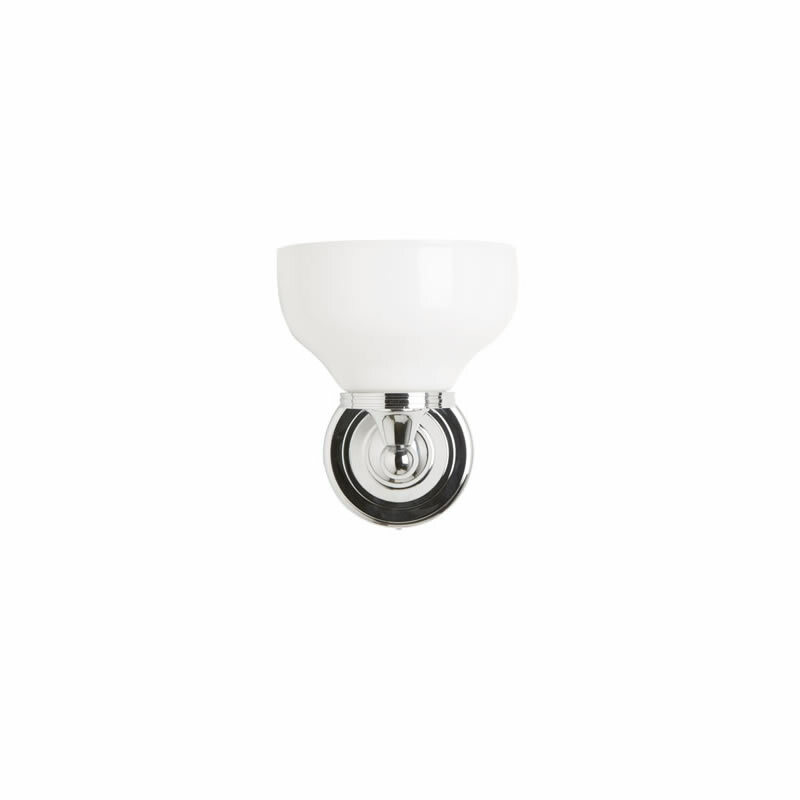 All our burlington lights are supplied with G9 light bulbs. They are 28 watts, but give 40 watts of light and have an IP rating of IP44.